For me, independent publishers are the people in the industry who are prepared to take risks on new authors and books where the larger players either don’t wish to venture, or where they can’t see there being a return on. Each month in 2018 I am aiming to highlight some of my favourite independent publishers, along with some of their books that I have loved and also to have someone from the publisher answer a few questions. This month is the turn of Eland. One of my favourite non-fiction genres is travel writing, so much so that I usually read around twenty to thirty books a year. To have a publisher that only focuses on travel books is a little like heaven for me. 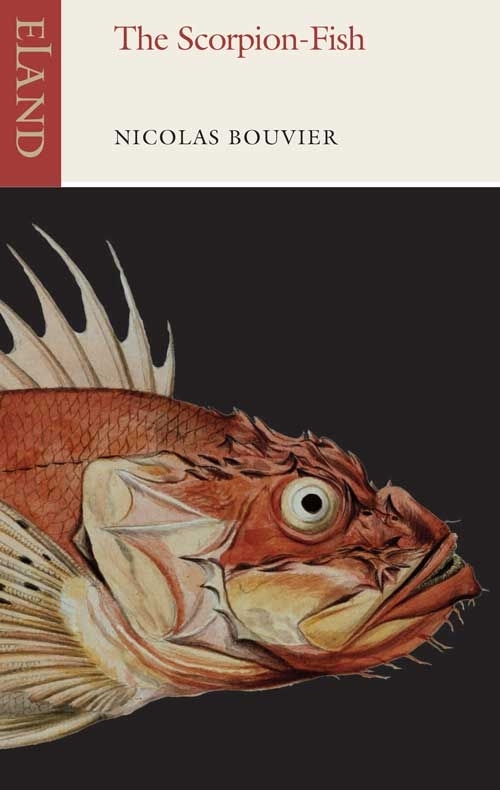 Named after the name of a misremembered elk, Eland’s primary focus is finding the obscure and normally unknown texts by writers that are wry, humane, tragic, lyrical, universal, funny and idiosyncratic and intelligently written, but most of all they need to sum up a sense of place. Their cream and rich red branded books are slightly taller than the others on the shelf, making them stand out when I am browsing through the travel sections of a bookshop. I am even doing a personal challenge to read a travel book from every country around the world, called The World From My Armchair Challenge; there are, as you’d imagine, a number of Eland titles on the list. Not only do they have over 100 classic titles in their catalogue, but they occasionally commission books for their series called Eland Originals. They were generous enough to send me one from that list that was published in 2017, Travels in a Dervish Cloak. 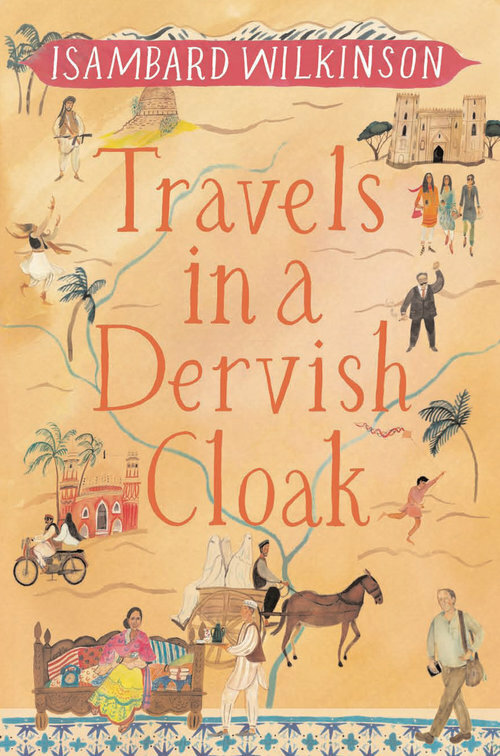 This fantastic book by Isambard Wilkinson tells of his travels around Pakistan, seeing how life was for the people in the places he visited and seeing how paganism still flourishes under a thin veneer of Islam in the wilder parts of the country. 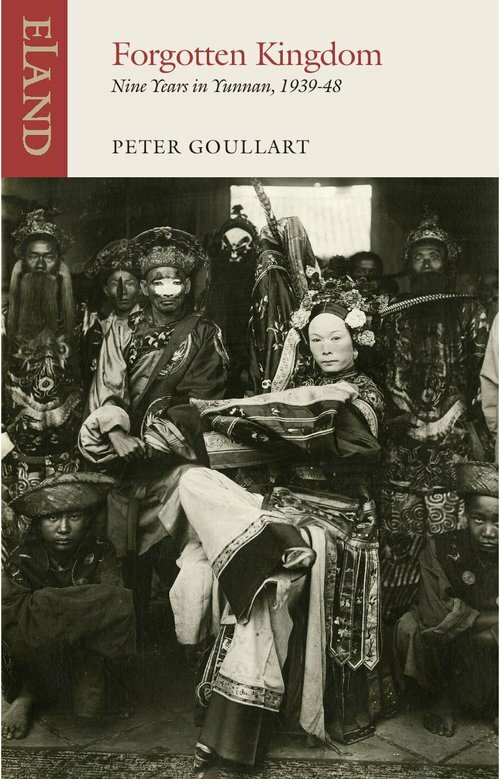 Another classic that was reprinted last year is The Forgotten Kingdom by Peter Goullart. This describes in intimate detail the time that the Russian author spent in the Nakhi Kingdom of south-west China and is such a brilliant book. There are a couple of authors that are key to their catalogue, one is Dervla Murphy, the Irish travel writer famous for cycling from Ireland to India. 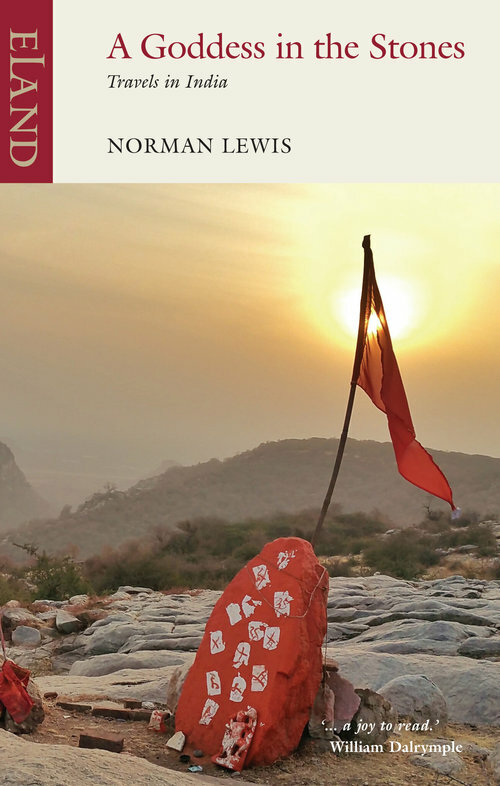 The other is Norman Lewis, a prolific writen of fiction and travel books, and whose Naples ’44 is one of Levison Woods must read books; which reminds me… I have read The Goddess in the stones, a fascinating journey wall away from the tourist routes around the state of Bihar. 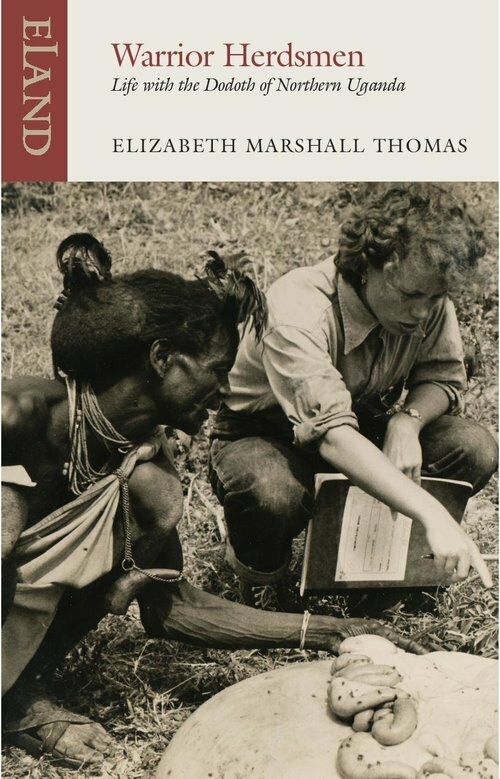 Warrior Herdsmen is Elizabeth Marshall Thomas’ account of living with the Dodoth cattle-herdsmen in Northern Uganda. It is closer to anthropology than travel, but fascinating nonetheless. Can you tell me a little about the history of Eland? Eland was started thirty-six years ago by John Hatt in a fury that none of the publishers he contacted were interested in reprinting Norman Lewis’s book about Vietnam, Dragon Apparent. A book which if read could have informed any US politician about the likely end result of the Vietnam War. On the back of this venture, he was later employed as the travel editor of Harpers Bazaar, which put him in an ideal position to travel and test out the best books on the ground. I must have written him a fan letter (in green ink) whilst still a history student, but instead of binning it, he invited me for tea on the strict understanding that he was never going to employ me. I later became a writer of guide-books and a jobbing travel journalist and tour guide, so we kept in touch. After 20 years running the business, he wanted to get out, having made a fortune from setting up cheapflights.com which also nearly killed him with overwork. Eland is passionately independent and is entirely owned by its three directors, has no other shareholders, and (at the moment) no debt. It takes no subsidies from the UK or any other government or pressure group. It is currently run by a husband and wife team (Barnaby Rogerson and Rose Baring) in an attic (a three storey walk-up above a popular London street market) who make use of a dozen skilled freelancers who either work from home or pop in once a week or once a month and hot desk in this attic while we feed them cups of tea. The freelance sales force in the UK is supplied by PGUK, the physical books are stored (and invoiced) by the incredibly efficient GBS/TBS. There is a network of freelance reps for our various foreign territories plus two stock holding distributors in AUS and the USA. We also sell to individual readers through our own website, which though it only achieves a tiny 3% fraction of our turn-over helps keep us in touch with our customer base. We can never quite define what we are looking for until we stumble across it but it needs to be observant of others, capable of summing up a spirit of a place and catching the moment on the wing– aside from such everyday literate skills as being funny, wry, intelligent, humane, universal, self-deprecating and idiosyncratic – plus the whole book has to be held together by a page-turning gift for story-telling. Increasingly we look for travel books that are not defined by heroic adventures but the ability to listen (and maybe understand) other cultures – ‘anthropology lite’. Eland is essentially a co-operative of passionate readers. Some of our best book suggestions come from our customers, who write in by postcard, letter or e-mail (typically listing half a dozen books that they adore about one region and that we do publish) then casually mention “but why not this as well”. This happened yesterday for instance. 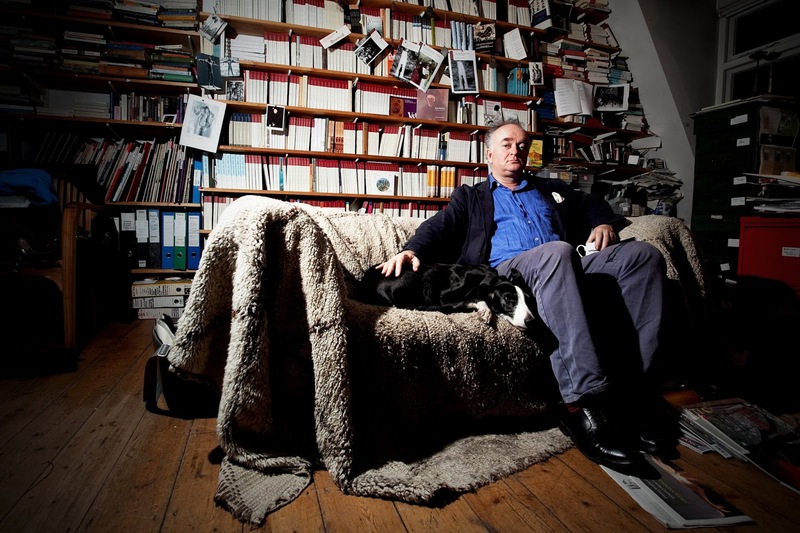 Our other principal sources of information come from the well-read staff who run bookshops and of course writers. Sometimes it takes a year to find the right image. 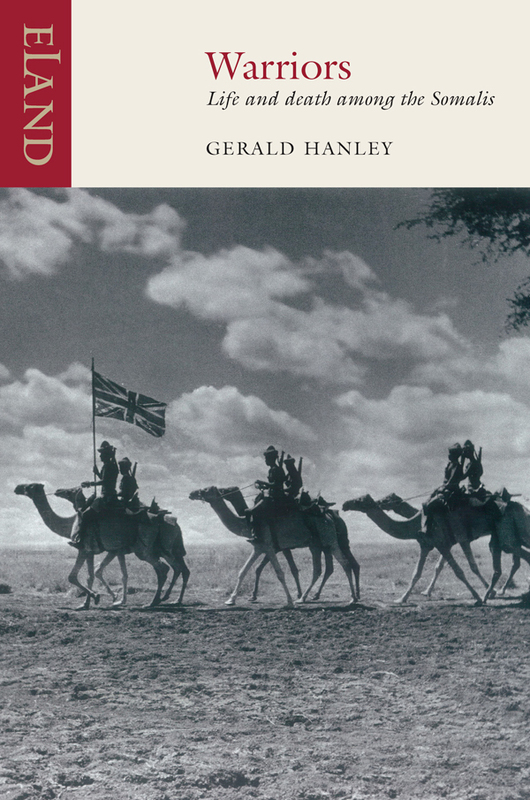 We pride ourselves on getting the mood right for the cover of an Eland book, and have a loose rule of thumb that fiction can be best expressed by a painting and fact by a period photograph. Various versions of a cover get created, pinned to the wall, then after a bit you find the most appropriate one. 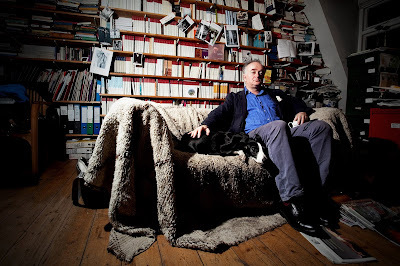 We are thrilled that we have recently acquired the entire back-list of one of the greatest post-war British writers, due to a supportive literary agent who admires what we do. 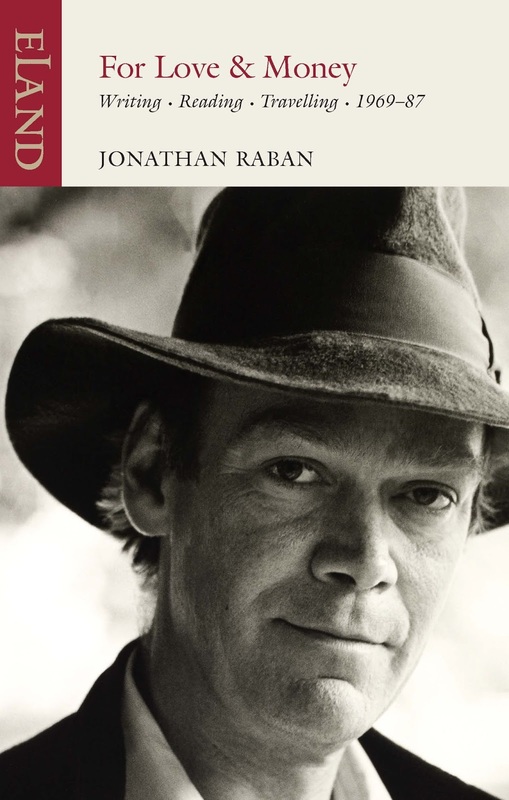 In May 2018 we will release Jonathan Raban’s Old Glory, Arabia: Through the Looking Glass, Hunting Mr Heartbreak, Coasting and For Love & Money. He is wise, irreverent, clever, wicked and funny. None. In 2018 we are back to our principal role of reprinting travel classics, which will however include the first English language publication of the iconic French travel-writer Nicolas Bouvier’s Selected Works. My wife, Rose Baring, who reads in French and Russian, discovered Bouvier. The Road to Nab End by William Woodruff. Our publicist Stephanie Allen, who used to work at John Murray and helps run the Literary Magazine Slightly Foxed, has led the way. Getting us to send out quarterly chatty newsletters (that do not endlessly try to flog our books), which she then supported by setting up an Eland Facebook page, then twitter, then instagram. Her recent round of energy has been connecting Eland up to the fascinating world of freelance literary bloggers (whose motivation is often very similar to that of Eland). Beside this we continue with traditional means like drinks parties, launch parties, lecture, pop-up shops, not to mention sending books out to review to the print medium of magazines and newspapers. What book do you wish you had first published? Lords of the Atlas by Gavin Maxwell, which we now have on our list – even though I know he was in many ways a total monster, as revealed by Douglas Botting’s biography – which we reprinted last year ! What does the future hold for Eland ? After 36 years of work, we have now built up the Eland backlist to over 145 titles, which you can have a look at on the website. 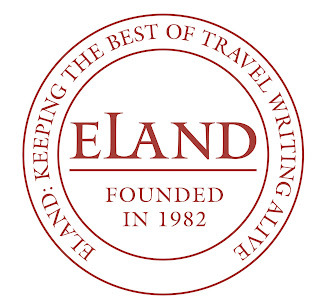 So Eland has now probably become the world’s leading independent publisher of classic travel. There are at least three dozen travel books which I would like to add to the list right NOW, but we like to work within our own capacity and budget. So there is no immediate danger of scraping the barrel. We now have probably just as many travel books written by women as men, but the next challenge will be to expand out of our Anglo-American identity and start including much more of the world. We got a great kick out of translating Evliya Celebi’s travels, and showing the world a 17th-century version of Orhan Pamuk, an Ottoman Bruce Chatwin. Thank you to Barnaby and Steph for taking time out of their hectic schedules to answer those questions for me. I really appreciate it. Eland’s books are available from all good bookshops and their most recent catalogue can be seen here. I would urge you to buy them from an independent bookshop if you can as this support them, the publisher and of course the author with one purchase. 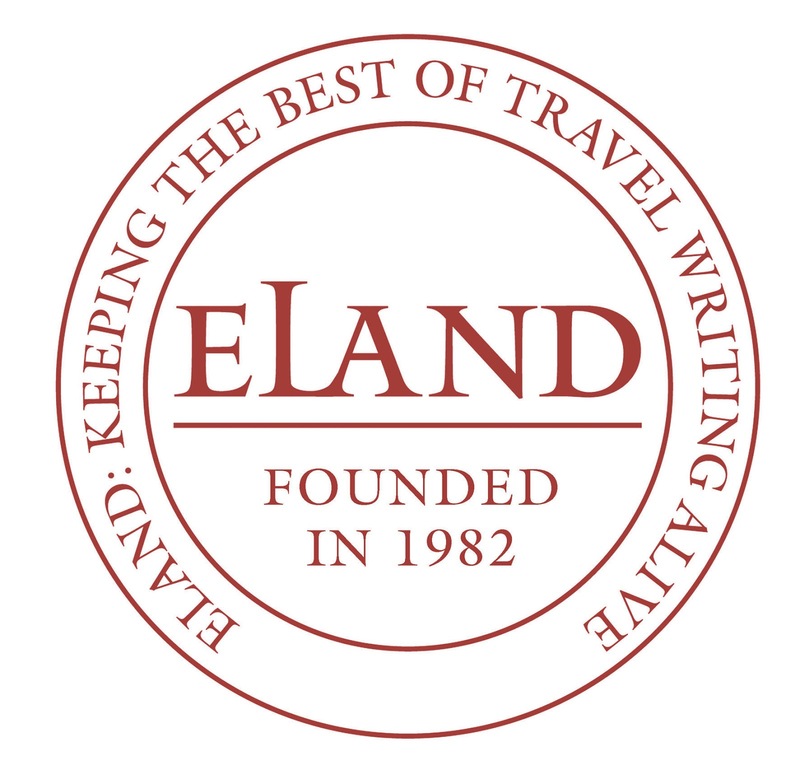 This was wonderful – I love Eland and it's great to find out what goes on behind the scenes. What a good idea for an article! Thank you so much Lyzzy. Have you read the previous two? Not yet, I'm gong to go back and do so, though!